Canonical Ltd, the company that develops the Ubuntu operating system, has announced that it will collaborate with ARM, company that manufactures mobile phone chips, in an effort to come up with an Ubuntu powered netbook device. For Ubuntu, this is not a drastic change; it has made operating systems before, and it will continue to do so now, just that said OS will be implemented on a small computer mainly designed for web surfing. ARM on the other hand is venturing into virgin territories; the company is best known for coming up with chips for mobile phones, not for netbook or software development. The fact that it teamed up with Ubuntu is a considerable credibility and popularity boost for ARM. 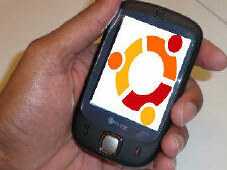 Ubuntu for ARM powered netbook devices is expected to drop next year in April. Coincidently, on the 23rd of April 2009 the 9.04 final version of Ubuntu, codename Jaunty Jackalope, is also scheduled for release. If you just can’t wait and you definitely must use Ubuntu on a netbook, then you can do so with the Mini 9 from Dell. In related news, ARM has also struck a deal with Adobe. The purpose of this agreement is to make ARM powered devices (that would be mobile phones and perhaps the iPhone) Flash and AIR compatible. What this means is that a full-fledged, fully functional version of Flash is expected to properly run on smart mobile phones. ARM also manufactures processors for personal media players, TV sets, and mobile computing devices; all of these stand to benefit from the Adobe-ARM agreement as well.